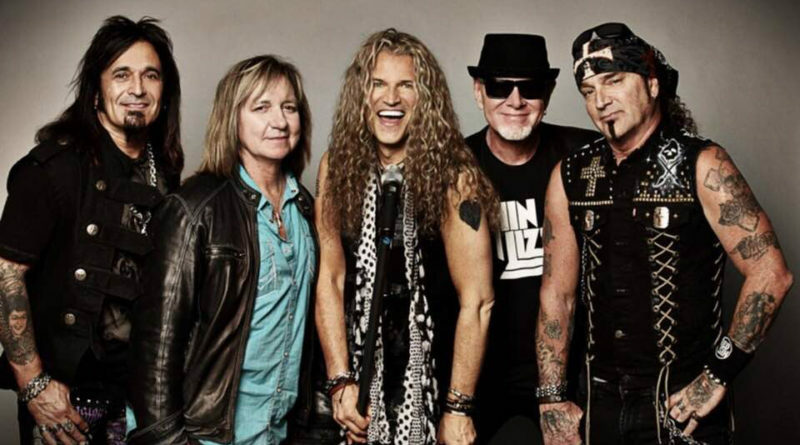 Great White, the Grammy-Award nominated quintet who penned classic rock staples “Rock Me,” “Save All Your Love,” and rode a cover of Ian Hunter’s “Once Bitten, Twice Shy” to the land of platinum, recently made headlines when vocalist Terry Ilous was fired and replaced by one-time Van Halen front man candidate Mitch Malloy. 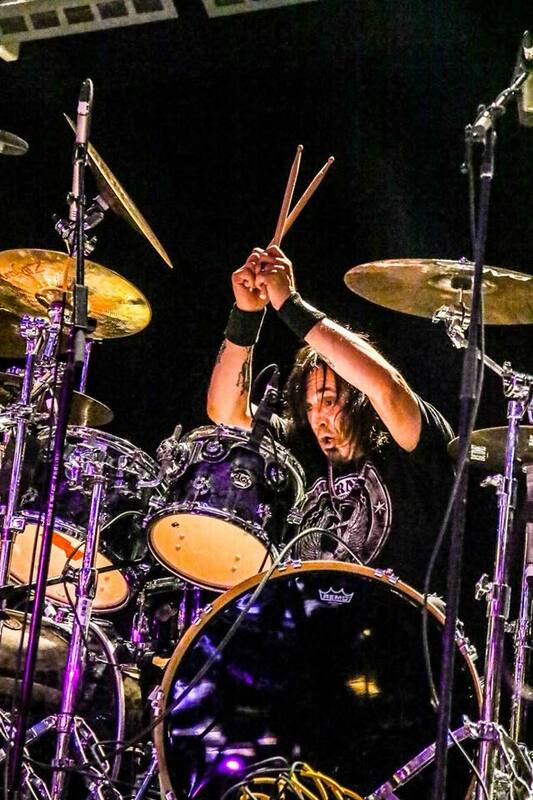 Long-time drummer Audie Desbrow said in a recent phone interview that although he didn’t have any issues with Ilous personally, storm clouds had been slowing brewing on the horizon, and things finally reached a point where a shakeup was inevitable. 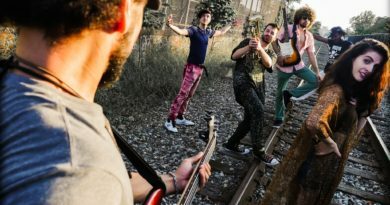 Iowans will get an early glimpse of the Malloy-fronted Great White when the quintet hits the Bud Light Stage at the Iowa State Fair for a free show on Aug. 15, and at the Grand Falls Casino in Larchwood on Sept. 8. ListenIowa caught up with Desbrow to talk about the vocalist change, having to live under the cloud of 2003 The Station Nightclub fire in Rhode Island which killed 100 people, and the future of the band itself. 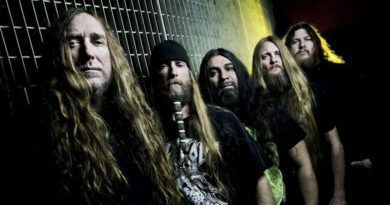 The latest news on the Great White front is the addition of Mitch Malloy as your new vocalist, replacing Terry Ilous. Yeah, I wasn’t really too familiar with Mitch, other than he had been on the last Monsters of Rock Cruise, and Terry actually brought him up to sing some choruses on “Once Bitten, Twice Shy.” So when it came time to find someone else, his name was brought up, and everyone agreed. Did you audition anyone for the slot after Terry was let go? No, it all came about pretty quickly. There had been some grumblings online about Terry’s delivery of the songs that put you guys on the map with your original vocalist, Jack Russell. Some fans weren’t satisfied with what they were hearing. Did that play a part in this at all? The fans are very used to hearing Jack Russell’s voice in Great White. It’s very identifiable. With Terry, we could have gotten a Jack clone, but we didn’t. Terry fit the criteria of the music direction that we were going in very well. But some people thought we were actually trying to pass him off as Jack, which wasn’t our intention at all. It’s really hard after someone plays in the band for so long. You try to do the best interpretation of the phrasing of Great White. After a while, when you start to add your own style to it, it starts to stray away from what people want to hear. So you were indeed hearing about it from you fans. Do you think that distracted him from the task at hand? I don’t know. I think he felt like I did when I first got in this band and we got our first record deal, we went big, and we sold millions of records. When he got in the band, I think he felt that this was going to be his big break. But we’ve already gone through all that. We’re just blessed to still be playing shows and making a living. Was there any thought about contacting Jack about the opening? Not at all. We’ve already moved on from that. We’ve gone through a lot of stuff with that over the years, and the fact that he sued us in federal court for the name, and we spend a lot of time and money, you just don’t return from that. People tell me that they’ve seen his latest shows, and it’s just hard to look at because his health isn’t as good as it could be. We’ve got a really grueling schedule, and it’s hard enough for me, and I’m semi-healthy. (laughs) I couldn’t imagine someone in his condition doing what we’re doing. We did shows with him toward the end, and he was in and out of a wheelchair and crutches, had to be carried up stairs, was falling asleep onstage. It just got old. It’s a business, and we have families to support and mortgages to pay. You can’t go to work messed up 24/7 and still be able to work there. Suffice to say, that bridge is burned. (laughs). Yeah, that ship has sailed. Does it bother you that there are two versions of Great White out there touring now. Has that caused any confusion amongst your fans? I don’t look at it as two versions. Jack’s got a band with guys who had nothing to do with the earlier records, except for Tony Montana, who was only in the band for five years then quit because he wanted to be a guitar player. Now he is with Jack, which I’m sure he’s happy about. I just look at it like Jack is doing a tribute to Great White. He has the moniker “Jack Russell’s Great White” only because we thought it would be fair to let him still make a living. It’s only right. He tried to do Jack Russell by himself, but nobody cared. No one came out. He got Mark back, went out as “Jack Russell’s Great White” and then the fire happened and the whole band’s name got tarnished. We’ll never be in the (Rock and Roll) Hall of Fame or play in Rhode Island again. Michael (Lardie), Scotty (Snyder) and I, we weren’t even there, but we’re going to have to live with that horrible thing that happened. Do you think a band setting gets more difficult the older you get? It’s hard to get five individuals, especially at our age, on the same page. We’re just not going to change at this point in our careers. You just have to accept it, and carry on for the next few years or however long it’s going to last. I feel for the fans. I can remember hearing about guys leaving bands and thinking, “God, how can you quit that band? You’re all famous and touring the world and making records.” But now that I’ve gotten older, I can understand. You can see why they would leave. As you get older, you have different priorities, you’re tired, you’re physically beat and mentally drained. Waking up the next morning with a hangover now probably isn’t like it was back then either. (laughs) Yeah, there’s a much longer recovery period. Now we basically get paid to travel. The bus tours are few and far in between. We fly everywhere now. The playing part is the fun part, but getting there is the battle. There are the 13-hour flights, delays, sometimes you get in the van and the venue is three hours away. Or you get there just in time to do sound check, hurry back to the hotel to take a shower, go back to play the show, then you hurry to get back to the hotel at midnight so you can get up at 3 a.m. for your flight. It drains you. The drinking goes down to a small minimum. (laughs) When I was 25 or 30, no problem. As the drummer playing in a platinum-selling band in the 1980s, with the excess and all the trimmings that went with it, how do you explain those “good ol’ days” to someone who wasn’t there? Back in those days, everybody was getting signed, and it was all about the big hair, the clothes the partying — a relief from reality. It’s a lot different now. There’s a lot of angst and anger and politics involved in the songs. It seems to have lost its luster as far as the direction and excitement. Behind the scenes is different, too, whereas it used to be about the booze and the women, now it’s people playing video games or using their cellphones. (laughs) Yeah, and we’re talking about vitamins and prostates and losing your hair. (laughs) It’s a lot different for sure. We’d party down like it’s no tomorrow. We’d do that and the women for days. It was a scene. 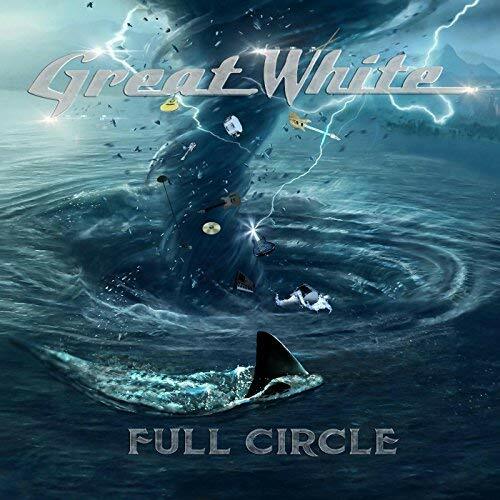 Are you surprised to still be going after all these years, and that people still care about the music of Great White? I’m surprised our era is going on as well as it is. Years ago, I got into a little disagreement with Jack and got fired from the band for a few years. Well, the fire happened and things died down for a few years and Jack went to rehab then called and said, “Hey, how would you like to do an album and a tour. I’ve been sober now.” I was thinking that was great. I’d been out of the band for a few years, and I thought I’d go back, do that and that would be the end of it. Here it is 10 years later, and we’re still doing it. I think our style of music is still going strong because people want a release and to have a good time and reminisce about good times and having fun. In 2017, you guys put out “Full Circle,” a new album with all originals. Talk about the decision to do that in a marketplace in which, let’s face it, people are coming to the shows to hear the hits. New music is almost an afterthought. We love the play the hits, but we never want to become the greatest hits band and become jaded. 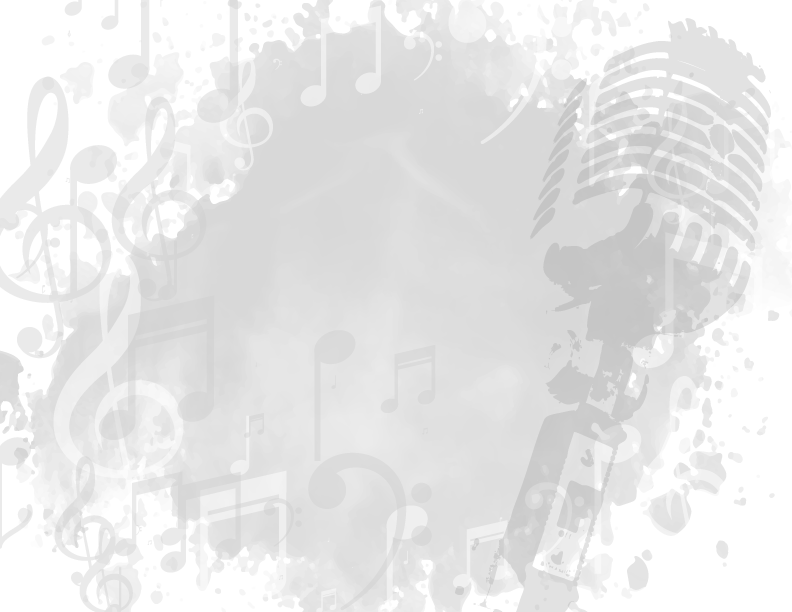 We want to create new music, basically for ourselves for peace of mind and sanity. You can weave some of the new songs into the set, and you never know, maybe you’ll have a hit. It wakes us up. Yes, we have to play “Once Bitten” and “Rock Me” and “House of Broken Love,” “Save All Your Love,” and all that, but it’s easier to play those when you have a couple of new ones in there every year. It keeps you on your feet and creative. It’s kind of risky doing a whole album, because most people are just going to download a couple of songs anyway. I’m thinking maybe we should concentrate on three to five songs and put out an E.P. and really make them great. How long do you see Great White continuing? We’re going to be doing it as long as people want to come out and see us. We’re definitely going to keep writing music, especially with Mitch. He has his own studio in Nashville and is a producer and songwriter and sings really well. 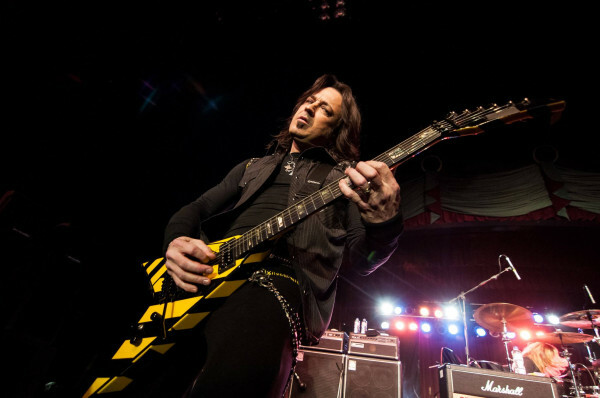 I’m sure he has a lot to add to a new Great White record, and we’re excited about that. August 3 Psycho Silo | Sheffield, Ill.
August 4 Clearfield County Fair | Clearfield, Pa.
August 17 Turning Stone Resort & Casino | Verona, N.Y.
August 19 The Foundation Performing Arts Center | Spindale, N.C.
September 1 Shenandoah County Fair | Woodstock, Va.
September 2 Jergel’s Rhythm Grille | Warrendale, Pa.
September 15 Rockefella’s Music Festival II | Banning, Calif.
September 22 Southwind Casino | Newkirk, Okla.
September 28 Private Event | Detroit, Mich.
October 6 Pearl River Casino & Resort | Philadelphia, Pa.
November 2 Sycuan Casino | El Cajon, Calif.
November 16 Golden Nugget Casino | Las Vegas, Nev.
Pingback:GREAT WHITE Drummer Rules Out Reunion With JACK RUSSELL: 'I Couldn't Imagine Someone In His Condition Doing What We're Doing' | Music World! - World's biggest music source!